“The spring fair fits well in the sourcing season in China, so our exhibitors can always meet a strong number of buyers at this fair. The four concurrent fairs have further enriched the visitor profile, allowing suppliers to promote their brand and launch new products more extensively. 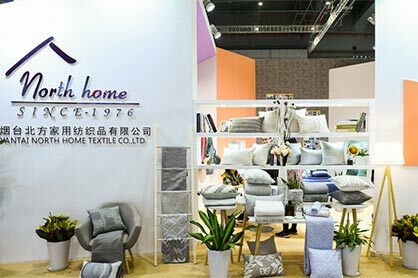 The show also succeeded in satisfying visitors with a wide range of home textile products ranging from bed linen, pillows, mattresses, and cushions, towelling products to textile designs, machinery, silk products and more,” Ms Wendy Wen, Senior General Manager of Messe Frankfurt (HK) Ltd said. The comprehensive fringe programme is one of the show’s highlights that continues to draw participants’ attention. This year, the show cooperated with Tmall, aiming to connect the entire industry with more innovative ideas. A series of seminars discussing some of the most debated topics, including domestic consumption upgrade, took place. As one of the expert speakers taking part, Mr He Shu, Home Business Unit Integrated Marketing Expert from Tmall Business Group praised the collaboration with the fair organiser. “The fair provides a good opportunity for Tmall to connect to the entire industry chain, while the seminar section allows us to network with different manufacturers and buyers effectively.” Apart from Tmall, some of the leading home textiles companies also shared their thoughts on trends, automation solutions, application of new materials and other subjects, brining valuable insights to the attendees. The next Intertextile Shanghai Home Textiles is the Autumn Edition, which will be held from 28 – 31 August 2019. 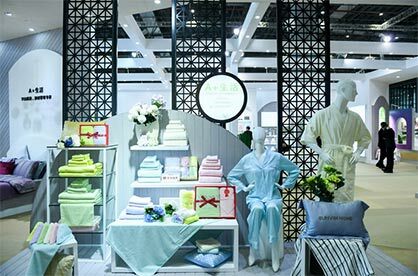 Intertextile Shanghai Home Textiles – Autumn Edition is organised by Messe Frankfurt (HK) Ltd; the Sub-Council of Textile Industry, CCPIT; and the China Home Textile Association (CHTA).